FORT MYERS, Fla. (Feb. 26, 2015) – Fort Myers Attorney and Mediator Keith Grossman, founder and managing partner of Grossman Law & Conflict Management, will be a featured speaker at the March meeting of the Greater Fort Myers Chamber of Commerce’s Women in Business committee, to be held Wednesday, March 4 from 4 to 6 p.m. at Six Bends Harley-Davidson on 9501 Thunder Road in Fort Myers. The topic of this special March event is “Dominate When You Negotiate,” and Grossman will use his expertise as an attorney and mediator to share tips that will help you excel in the world of negotiating. Grossman will identify the elements of a successful negotiation, in which all participants communicate their wants and needs and feel they each gained something in the process. In addition, the right combination of cooperation, assertiveness and gratitude makes negotiation a true art form. Women in Business is dedicated to helping women achieve their fullest professional and personal potential. A variety of networking and educational programs are offered throughout the year, typically the first Wednesday of every month from 4 to 6 p.m. In the area of employment law and mediation, Grossman’s services include human resources consulting, skills training workshops, facilitation for consensus building, and conflict management design and preventative practices. Grossman Law & Conflict Management is located at 7270 College Parkway, Suite 1, in Fort Myers. 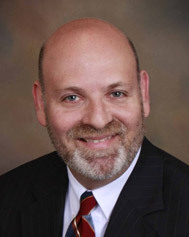 For more information about family law, divorce, employment law, and conflict management services, call (239) 210-7516 or 877-687-1392,email Keith@AttorneyGrossman.com or visit www.ResolvingConflictsNow.com; AttorneyGrossman.com; or KeithShares.com.